"AWS, they're strong on the machine learning infrastructure side of things, but on the machine learning applications, we thought Google was definitely head-and-shoulders above them," Kundu said in an interview. Kundu's assessment of Amazon's machine learning capabilities was echoed on stage at TechCrunch Disrupt by LinkedIn co-founder Reid Hoffman, who said that Google and Microsoft were the leaders in cloud machine learning, while AWS is "working to get there." Moreover, Kundu said that Google's services were more accurate than its remaining competition for the sort of tests that Evernote ran on them. In addition to looking at the possible features available from a platform's machine learning services, it's important for cloud customers to actually evaluate what those services are able to do, he said. When asked whether Google ended up stronger than Microsoft when put to the test, Kundu said that he didn't want to call one company weaker than the other, but that "the results were pretty strong in Google's favor." Those machine learning tools are important to Evernote, as the company looks to build on its existing popular note-taking app and create new intelligent applications. 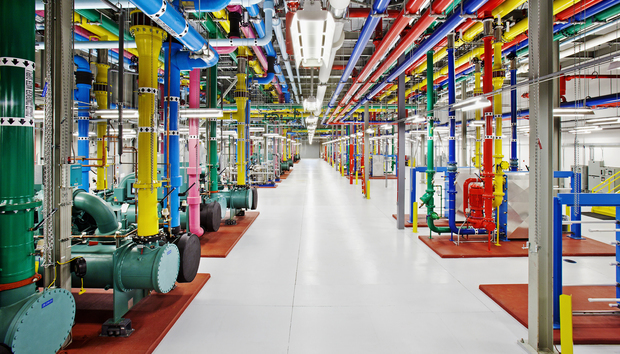 As more companies look to adopt machine learning tools, Google's capabilities may help it close the gap with its competition in the public cloud market. "The proximity of strong developer services around data science is a key capability," IDC analyst Al Hilwa said in an email. "Google has clearly invested greatly in this space in many ways because of it generates enormous amount of data and because of its investments in other AI initiatives over the years. What is new and interesting here is using these capabilities as a lever to attract customers like Evernote to its public cloud." What's not clear yet is whether that lever will be successful over the long run in attracting companies to Google's cloud instead of its competitors, especially since all of the major players in the cloud are constantly updating their capabilities. Evernote isn't the only company using Google's machine learning capabilities. Disney used the Cloud Vision API to build a marketing tool for its remake of "Pete's Dragon," while website building company Wix used the same tool to help its customers find images relating to the content of the site they're working on. Actually getting Evernote moved over to Google's cloud will be a massive task. The company has about 3 petabytes (a petabyte is 1,000TB) of data stored in its data centers. Evernote plans to begin migration in October, and hopes to have completed the move by the end of this year, Kundu said. At the same time, the company is working on developing new capabilities that take advantage of Google's cloud, both in terms of machine learning applications and cloud infrastructure in general.